Tuesday was a long day. I had a staff meeting and a Centus Counseling Center board meeting before I drove like a mad man up to Evergreen for Presbytery. I arrived late for worship. Thankfully, I arrived in time for my commissioning as a commissioner to General Assembly this summer. The meeting adjourned about 8:40. I was tired and hungry on my way home, and a million thoughts were running through my mind as I drove home, only half listening to the Rockies game. I was not driving fast, but I can say that I was not totally focused on the road ahead. I was driving east on Interstate 70 at mile marker 257 on a steep down-hill left hand curve about 65 miles a hour when I saw a large dark figure appearing from the right hand side of the road. I did not know what it was at first, but it ran into my headlights, stopped and looked straight at me. I honestly thought it was a moose it was so large. It has some kind of a rack on top, but I never looked directly at it, for the animal and I locked eyes. I hit the brakes quickly and tried to guess which way he would bolt – back to where he came from or to the left, so I could steer around him. Fully stopping was not an option. I guessed wrong. I veered sharply to the left and he ran in the same direction. A crash. At that moment, I did not know whether I hit the animal or another car. I had “a sense” no cars where behind me when I made swing to the left but I did not have time to look into the rear-view mirror. My airbags did not deploy, and I was able to maintain my control of the vehicle. I heard and saw nothing, assumed I hit a moose, and knew my car was damaged, so I went on down the road a couple of hundred yards and pulled over as far off the interstate as possible and put on my hazard lights. I did a mental check of my person. No pain. Whew. 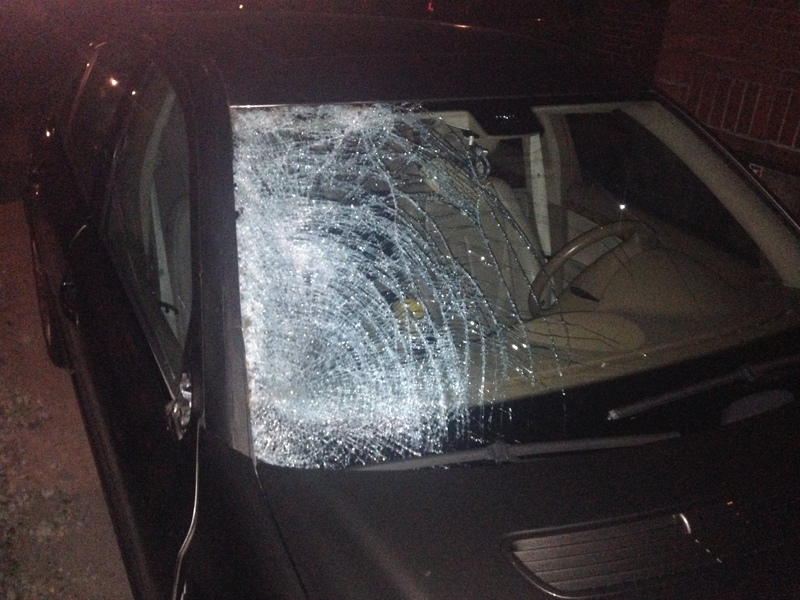 The passenger side window was crushed and glass was all over the interior of the car. The rear-view mirror was busted and dangling from an electrical cord. No smell of gas. Things could be worse. I was starting to feel pretty thankful. I found my cell phone on the car floor among shards of glass, called 911, and gave a short report. I was patched through to a state trooper, who arrived about 15 minutes later. He stopped up the hill and took about 30 minutes to remove what he told me was a very large elk from the middle lane of the interstate. I decided not to walk the 200 yards up the hill, because it was a very dark night, we were on the curve in a road, and it is a place where cars tend to fly down the hill at dangerous speeds. He was polite and all business. He had me write out a report, which was difficult to do with my trembling hands. He saw no sign that I had been drinking, searched my car with his flashlight, ran a driver’s license check, and let me go. No ticket for speeding or reckless driving or for killing an elk. Whew. (I did write in my report that I had been at a church meeting, and I did have a black robe and white stole in the back seat!) I was a bit surprised he let me drive, but we both agreed the car was actually drive-able and the smartest thing for both us was to get off the shoulder and out of the way as quickly as possible. Later I starting to think what could have happened. The air bags could have gone off and I could have lost control of the car. Since there was no guard rail at that point, which is the elk chose to cross the road at that point, I could have careened off the cliff. 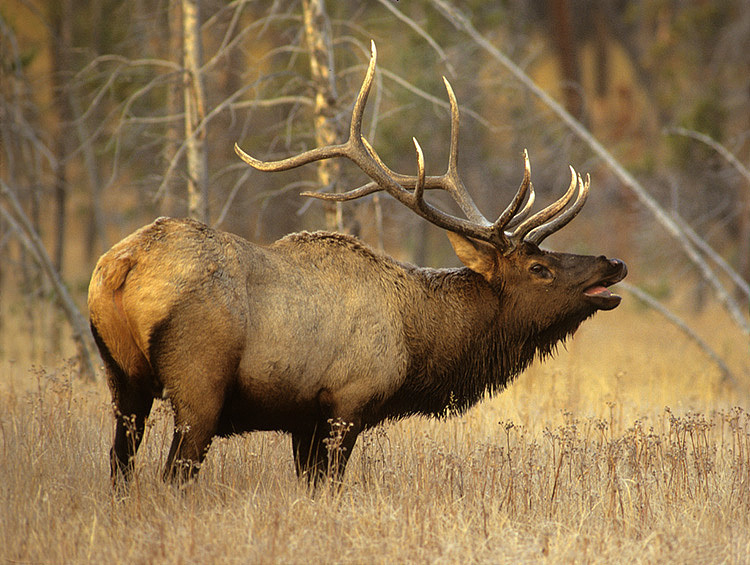 Also, I was fortunate I did not get from behind – either as I swerved left to avoid the elk or meandering over to the shoulder at a slow speed across three lands of interstate. People tend to drive down that hill like it’s a NASCAR race. Of course, I am happy to be alive, but very sad that I killed one of God’s beautiful creatures. I only saw him for possibly two seconds or less but he was a beautifully large beast who roamed the great Rocky Mountains of Colorado. May he rest in peace. As much as I love my Mercedes, which suffered a great deal of damage along the right side and on the roof, it is only a car, a thing, and can be fixed or replaced. Things that breath and have being are all precious in the sight of God.